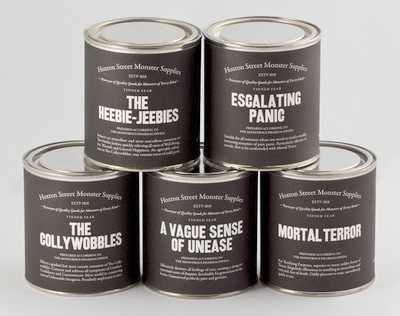 First batch of ESCALATING PANIC was sold out – snapped up by main-stream-media apparently. Great news! I love the “A Vague Sense of Unease” brand! Could you perhaps go into partnership with Coca Cola and WWF to support their Polar Bear Coke range? Every can goes to help a polar bear! Maybe some petrol companies want to get in too? Due to the market uptake of its previous four products, the UN IPCC are working on synthesizing a new blend of GOBBLEDEGOOK – due for release at the end of October 2014. Al Gore is considering taking suit. He claims he invented all of these concepts at about the same time as he invented the internet. I remember doing a brief stint in the school army cadets and discovering “compo rations”, where absolutely everything is canned, including the can openers.